Hmmmm... I'll have to look for the canned ones, then, although I kind of had my heart set on trying them fresh. But if canned is all I can find, I'll give them a shot. OMG! You guys aren't making things better! 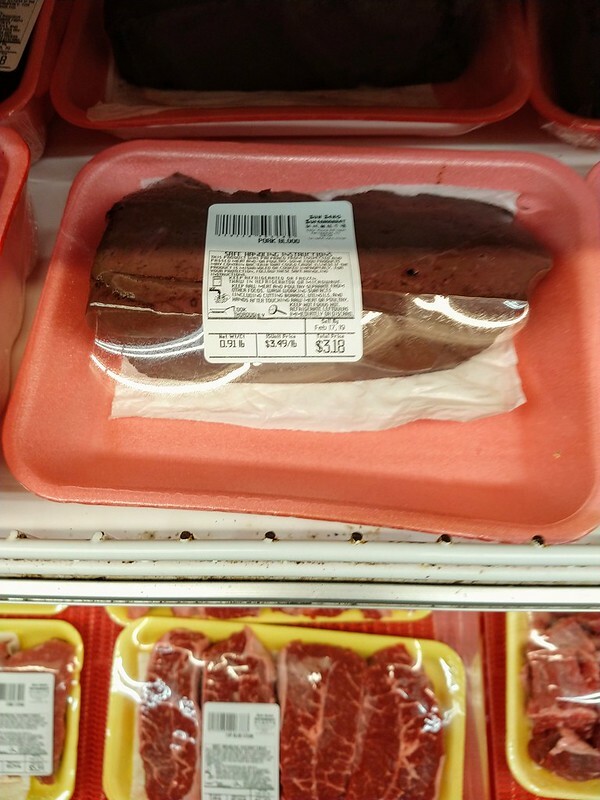 In the meat section in an Asian market you will find these gelled blocks of pork blood, about 3x3x12 inches, one type sort of clear red, which is uncooked blood, the other looking like a block of cooked liver, and that's the cooked. Never bought that, but I have seen recipes calling for both of them. I brought home a one legged duck..
Oh yeah, they love their blood soup and the like. I'm a Bizarre Foods fan and I see a lot of that on the Asian episodes, especially in Vietnam. Pork blood soup where they use the blocks of the blood or they use fresh blood as a thickener for other dishes. Here are some of the lychees I saw - a total of 11 different cans of them! A lot more strange things, but not enough time to photograph all of them! I'll have to stop at the Asian market next week on my way to work and look for the canned lychees. I'm dying to try those things and if I can't find them fresh, then I'll try the canned. 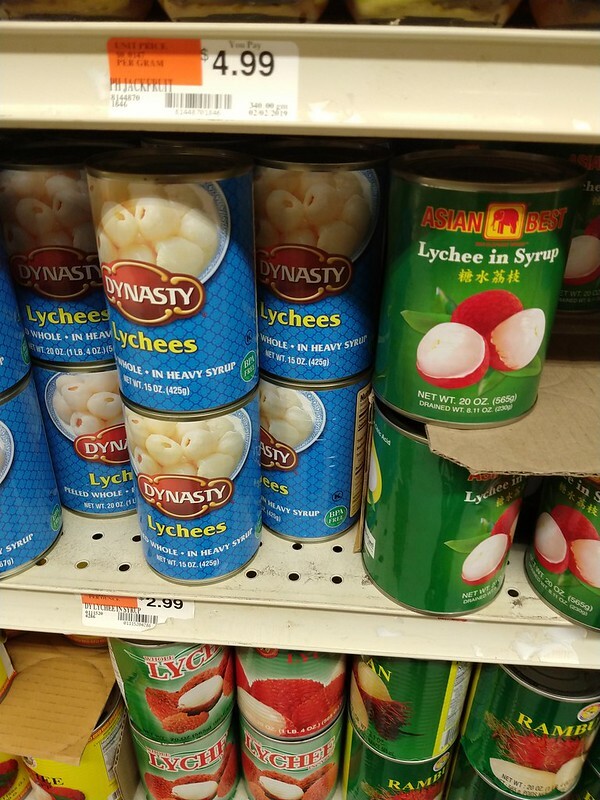 I went to an Asian market recently and looked for fresh lychees. 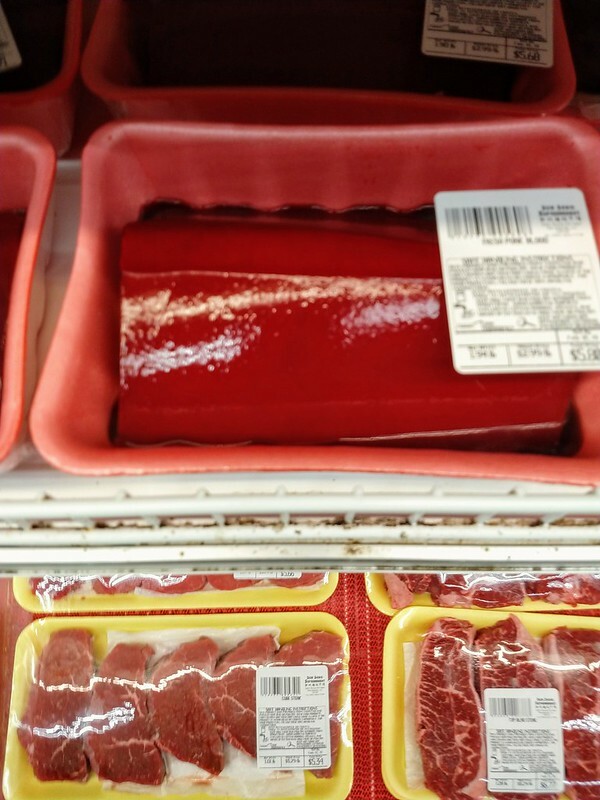 They didn't have fresh but they did have canned. They had fresh longans, which are similar. Ooo! I wonder if I can find fresh longans. I'll buy both, just to taste them.